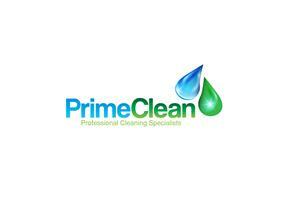 PrimeClean - Cleaning Services based in Dunstable, Bedfordshire. PrimeClean has been designed to provide the highest quality Carpet and Upholstery Cleaning Services fully customised to meet your requirements. We are your local, family run business. My name is Simon and I am proud owner and operator of your local cleaning business. I was always fascinated with bringing car interiors back to its better days, especially seats and delicate fabrics on door panels. Then in late 2012, an idea came up to undertake a professional training session with one of the leading Carpet and Upholstery Cleaning suppliers in the UK. Once I completed this I had a clearer understanding of the business and decided that in the coming years I will complete more professional courses to be the best and 'stand out of the crowd' providing the highest quality Carpet and Upholstery Cleaning services. Since then I never looked back. The results after deep restoration cleaning are shocking and make me smile seeing a clients’ expensive items returned back to its glory. Regular cleaning and maintenance cleaning is key to keeping any soft furnishings and carpets in good order. Carpets act as a filter – like all filters they stop working efficiently unless they are regularly vacuumed and periodically professionally cleaned. The same applies to upholstered furnishings. Clean fabrics last longer without the need of spending another big sum on a new carpet or sofa. To date, I have completed in total three professional Carpet and Upholstery Cleaning courses across the Country and I can proudly say that every year PrimeClean grows and gains more and more trust - the reason why our clients come back to us every now and then.